Perhaps someone has suggested you have a natural gift for healing. Many people have healing gifts and abilities but don't realize it while others have known most of their lives they were meant to be healers. If someone tells you this and it resonates with you, there are many paths you can follow to put your gifts to use to serve the highest and greatest good. If you've been told you're a healer, it may mean you have an abundance of healing energy or you have the gift to work with others in need of mental, spiritual, and emotional healing. It may also suggest you have the capacity to set aside your own ego-driven needs to allow yourself to serve as a conduit for healing energy or work with others in need of healing. What Aura Colors Are Compatible? Virtually everyone has healing abilities, but some people have a true gift for it and can use that gift to help others. There are many paths to using your healing gifts, including becoming an energy healer or following a more traditional path. The first step, however, is to discover whether your heart lies in working as a healer. Does It Resonate as Truth? Everyone has a divine guidance system that can help them discern the truth. Your divine guidance has various ways of communicating with you, such as via dreams or visions, via intuition, or arising as a knowing or sense of rightness. If something rings true to you, if it feels good and makes you think, "Yes, this is true," then chances are it is true for you. So if someone tells you you're a natural healer, how does it feel? Does it click in and resonate as truth, or does it feel incorrect? Listen to the signals you receive from your own divine guidance system to help you discern truth. Is It Something You've Always Wanted? Often, the goals and dreams you have for yourself arise from your divine guidance system offering gentle nudges toward the true path of your spirit. So if you've always been interested in being a healer or it's something you've openly or secretly sought, chances are this is the path for you. Is It a Topic That Fascinates You? If you're drawn to information about energy healing or other forms of healing, chances are this is a nudge from your divine guidance as well. If, after consideration, you feel you may indeed have energy healing abilities, then you have multiple paths available to put those abilities to good use. There are various forms of healing and courses available to help you begin to use your abilities to serve higher good. Choose one that suits your interests or that just feels right to you. If you communicate through touch and like to connect with people on a personal level, or if you are a highly tactile person yourself and prefer to receive hands-on therapies, then you may benefit from learning various forms of hands-on energy healing. Reiki is a form of healing that allows you to channel life force energy (also known as qui or prana) through touch or at a distance. To become a practitioner, you must be taught and attuned to the energy by a Reiki Master-Teacher. 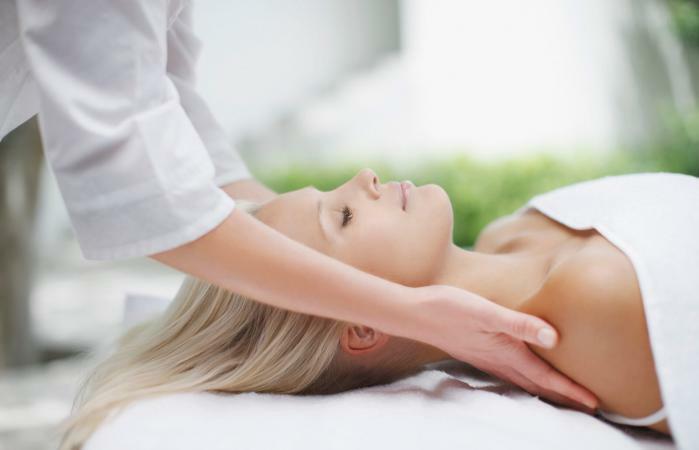 You can find a Reiki teacher nearby at the International Association for Reiki Practitioners. Quantum Touch® is a specific form of hands-on healing that allows you to draw life force energy from the planet and channel it to a healing partner. The website will direct you to local and online classes from qualified practitioners. Polarity therapy allows you to work with the five elements (ether, air, fire, water, earth) and balance them in the body doing hands-on work. The American Polarity Therapy Association can help you find training. Other forms of hands-on energy include Healing Touch, Matrix Energetics, chakra energy healing, Emotional Freedom Technique (EFT), and Pranic Healing (among many others). There are a number of tools you can use in your work as an energy healer, as well, with many books and courses available to get you started. Crystal healing allows you to use rocks and gemstones to help balance and harmonize spiritual energy. Start with a good book to help you understand the basic concepts and then follow up with crystals classes you can find locally through metaphysical shops. Sound healing uses sound waves to balance energy and vibration. Again, starting off with a good book is a great way to familiarize yourself with the ideas and tools, and then you can follow up with various courses, such as through the Tama-do Academy, Tibetan Bowl School, or Sound Healing Academy. Aromatherapy allows you to utilize scent from essential oils to facilitate healing of the body, mind, and spirit. Start with reading some good books about the process and then expand your knowledge with classes. The National Association for Holistic Aromatherapy offers a list of aromatherapy schools and courses. Of course, you may be drawn to more traditional methods of healing, such as becoming a physician, midwife, nurse, osteopath, veterinarian, physical therapist, psychologist, naturopath, acupuncturist, chiropractor, music therapist, or massage therapist (among others). Each of these professions has its own path towards becoming a practitioner involving formal education and supervised clinical experience. If you are drawn to traditional healing methods, look for accredited schools, colleges, and universities to pursue your education. If you are drawn to healing or have been told you have healing abilities and the information rings true to you, there are many paths - both traditional and non-traditional - you can take to begin to incorporate your natural interests and abilities into your life. Meditate regularly to tune in to your divine guidance system and then research various forms of healing to see which seems the best fit for you. As you explore the various types of healing, you may be drawn down paths that surprise you, allowing you to express fully who you are as a healer.